The Legendary LNSC Mablethorpe Outing! Yet again we are looking forward to our end of season jaunt to sunny Mablethorpe. Join us for an ice cream at our huts on the sandy beach, enjoy the thrills of the fairground and test your knowledge on our quiz. 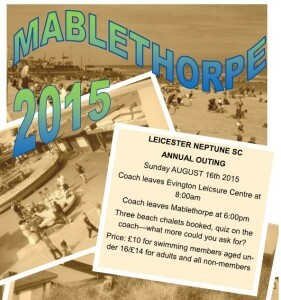 We leave Evington Leisure Centre at 8:00am and leave Mablethorpe for the return journey at 6:00pm.